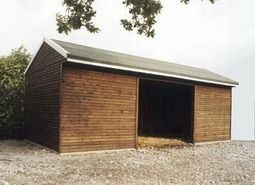 The field shelter illustrated here is a 12ft x 12ft shelter with an adjoining 6ft x 12ft tack room. 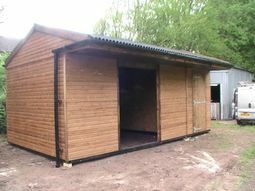 Field shelters come as standard with an apex roof covered with onduline sheets, a 3ft canopy covering the front of the building and all shelters are lined to 4ft with 18mm sterling board. 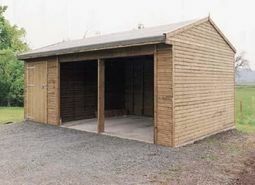 We offer many possible upgrades such as steel subframes to allow your building to be mobile, gates, internal dividers and lining to 8ft rather than the standard 4ft height. 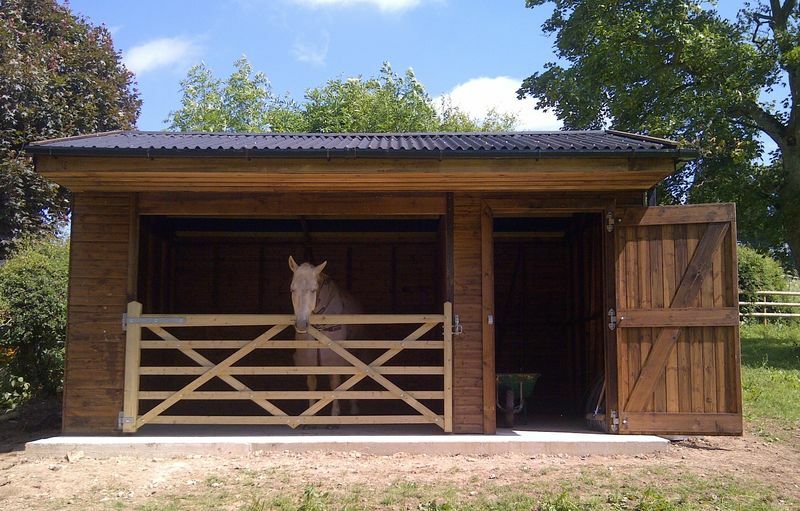 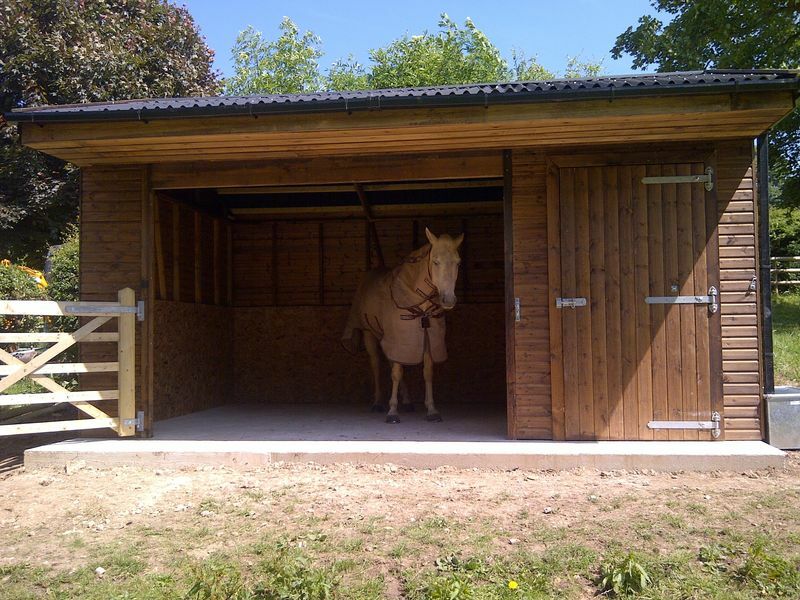 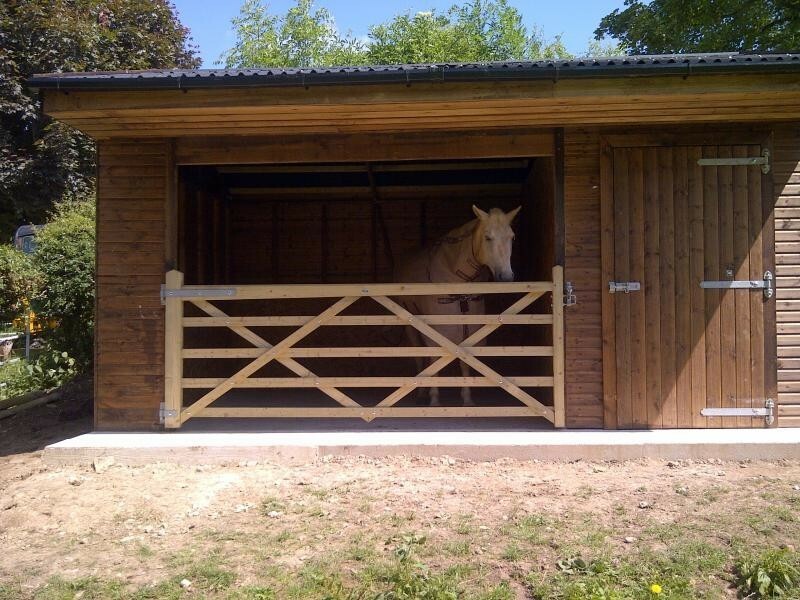 As standard the adjoining tack room comes unlined, however we do offer the option of having it lined with 18mm sterling board either to 4ft or 8ft.